Justin hurt his thumb in one of the crashes he had at Southwick and it was pretty obvious that it was bothering him at RedBud. 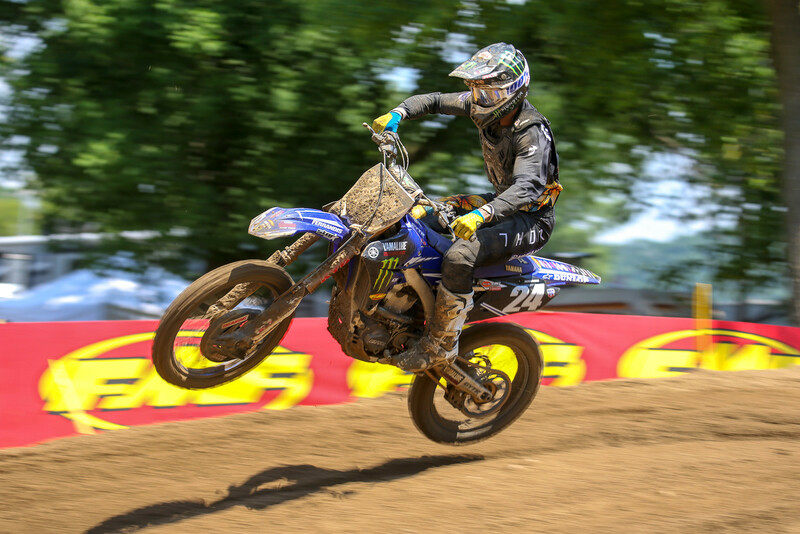 The week off seemed to do him so good, though, as he was right back in the mix at Spring Creek and was able to snag second overall with 4-3 moto finishes. He is an absolute runaway for Rookie of the Year honors and at this rate we'll most likely have him listed as a title contender for the 2019 season. Some guys take a couple of years to gain traction in the pro class, while others jump in and start ripping right away...Justin fits into the second group. 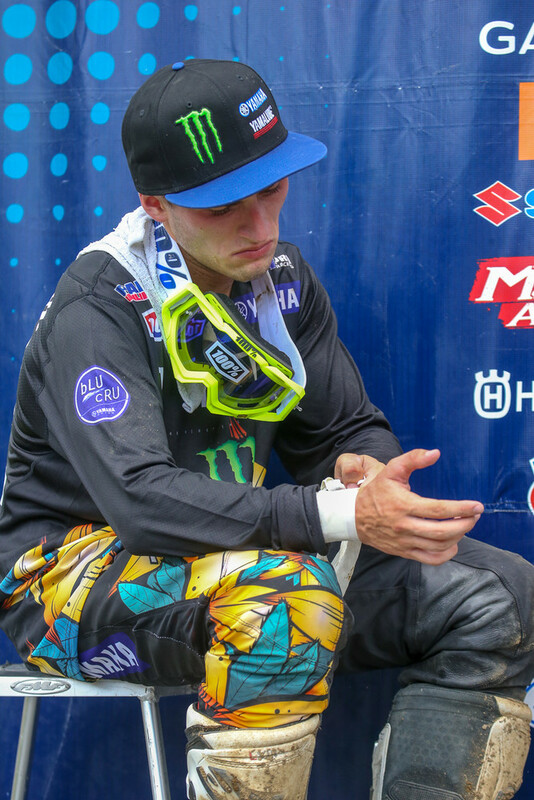 It would be nice to see him grab his first overall win before the season is over, but Aaron Plessinger is on an absolute roll right now and I'm not sure if anyone is going to be able to beat him unless he has an issue or a terrible start. 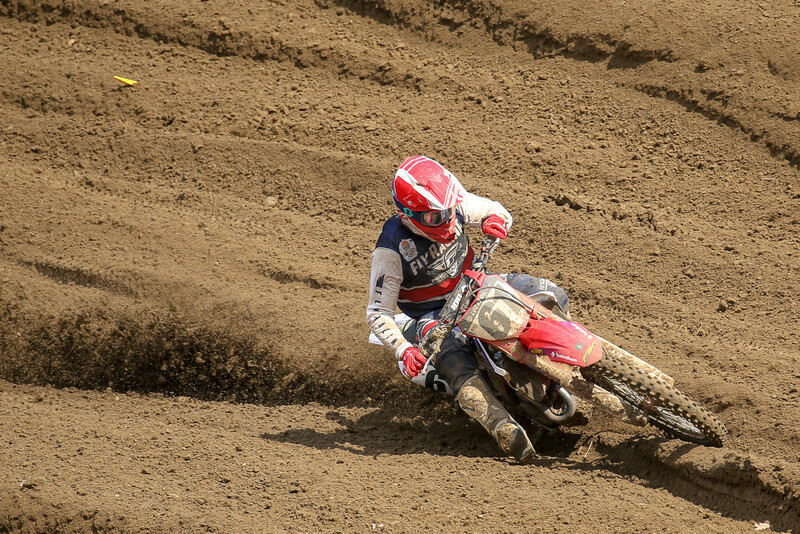 We'll see what Justin can do on one of the slicker tracks of the season next weekend at Washougal. A bit of an off weekend for Dylan, who I assume had some sort of crash or issue in moto one which led to an 11th place finish. Then he got a pretty dreadful start in the second moto and could only claw his way back to eighth. This wouldn't even be all that notable if he hadn't caught fire immediately after joining the series late due to an injury, but we've come to expect for him to contend for moto wins every weekend now so it was a bit weird to barely see him on the broadcast all day. On the bright side, Washougal has been good to former MXGP riders in the past and Dylan finished third overall there last year, so I'd say it's fair to bet a few bucks that he'll be back up towards the front next weekend. Originally, I thought that Shane must have gone down late in the second moto and was kind of concerned because I hadn't seen any sort of update on him, but it turns out he had a mechanical issue and as a result couldn't finish the moto. Still, that's a bummer for Shane who has had a very solid outdoor season despite a rough start. He could have easily been inside the top five overall at Spring Creek but just like that he ends up 14th overall, which I can imagine has to be quite frustrating. He seems like one of those riders that is able to move on when incidents out of his control happen, though, so I expect him to have a solid weekend at Washougal. Also, I know not a ton of people keep up with national numbers and Shane may not even be aware, but he is currently on track to earn a career number at the end of the year, which is pretty cool. 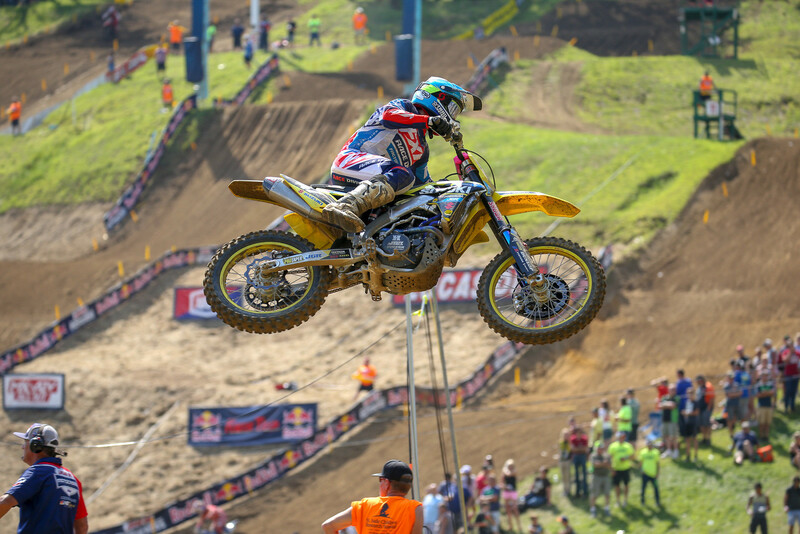 There were two Suzuki RM-Z250s out there this past weekend at Spring Creek, and they finished 19th and 20th overall. To be fair, Jimmy DeCotis said he'd been dealing with some food poisoning, and Enzo Lopes was just returning from a broken collarbone. But I'm gonna go out on a limb here and say that I don't think that's what a factory team like JGR is looking for out of their riders, but at the same time it is undeniable that the current Suzuki 250 is a bit outdated and it'll be interesting to see how the team fares once they get their guys on the new 2019 model. Will they improve quite a bit and start competing with all of the other factory teams next year? Or will they stay around the same spot they are now? It'll be something to keep an eye on. I was curious to see how Eli would respond after losing the red plate at RedBud despite building up such a comfortable points lead, because if last year was any indication...it could have gone either way. However, it seemed like Eli was determined to slap the red plates back on his bike as he rode smart in moto one and went for the pass when some lappers got in Ken Roczen's way. Once he had the lead, he was gone. 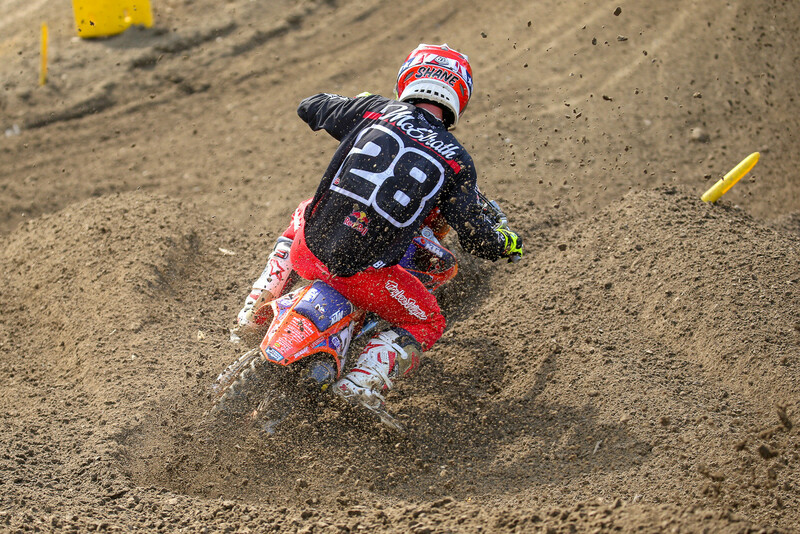 In moto two, he didn't get that great of a start but started to slice through the pack fairly quickly and towards the end of the moto he made the move on Ken Roczen, and then started riding scary fast on his way to Marvin Musquin's rear fender. He made a pretty slick-looking pass before the uphill triple with three laps to go and that was all she wrote. He now has a seven-point lead once again, and while it's not a huge cushion, I'm sure he's happy to have a little bit of an advantage in the points heading into one of Marvin's favorite tracks: Washougal. 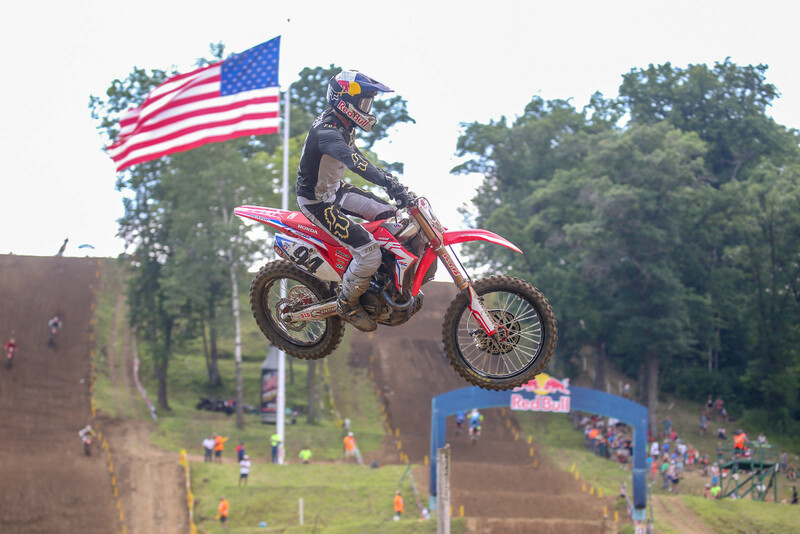 With each passing weekend, Kenny looks to be getting closer and closer to his first overall outdoor win since joining Honda. His race fitness has drastically improved since the beginning of the season, as he was only able to push it for about 20 minutes for the first few rounds. Now he seems to have closer to 30 minutes in him, and once he gets that last bit of fitness underneath him it's only a matter of time until he's winning regularly again...because the speed to win is already there. He actually said after the race on Saturday that he just started road cycling not that long ago because it had been putting too much pressure on his wrist. That's actually fairly surprising to hear, considering how many of the top riders in our sport seem to road cycle a lot. He also said that he's not sure if he'll be fully back to 100% fitness, body, and bike wise until after he has a full offseason with no injuries underneath him. It's very early, but I'm already looking forward to A1 just to see how he does. It may have just been the track, but it sure seemed like the red plate made Marvin's bike a little bit heavier at Spring Creek because he never truly looked comfortable out there until the second moto. 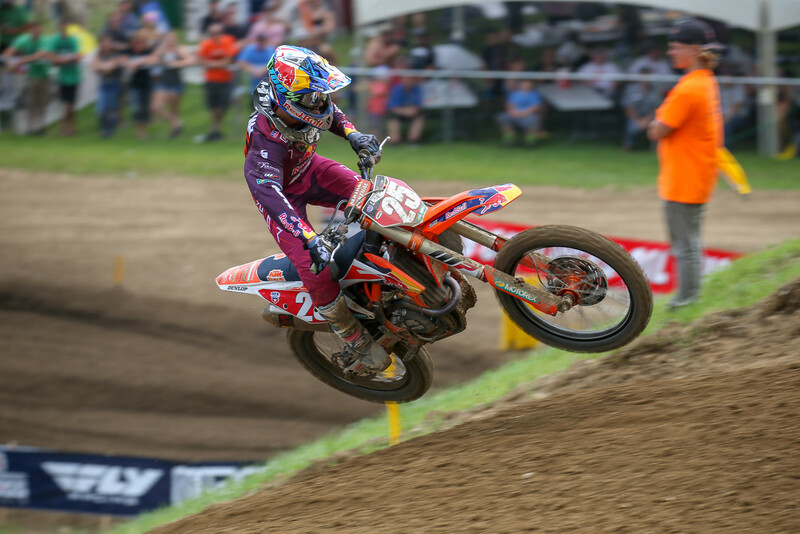 He looked a bit out of sorts in practice, and he didn't look entirely comfortable in the first moto, either, until he cross-rutted on the downhill before the finish line and went down. He backed it down considerably after that and settled for fourth place. Luckily, he seemed to have gotten the bike better in-between motos because he looked much better in the second moto. I mean, he was on his way to winning it by a decent gap until Eli decided to flip the suicide switch and go balls out on what was a gnarly track by the end of the day. Regardless of whether his struggles were due to bike setup, the mental weight of suddenly having the red plate, or because he was just not getting along well with the track, it was a disappointing day for the number 25 and he once again has to try and take the points lead back from Eli Tomac. 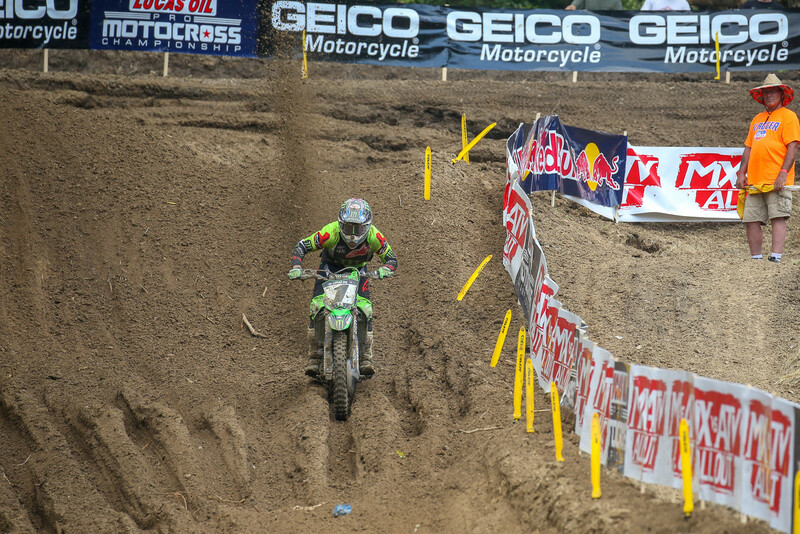 Luckily for Marvin, the next two rounds feature two of his favorite tracks: Washougal and Unadilla. This is his chance to make up lost ground and perhaps put a bit of distance between himself and the Green Man before the final break in the series. I don't typically put privateers as the Ugly, because really how am I gonna tell a privateer he needs to do better when he's doing it primarily on his own dime? The outdoor series isn't really a money-making endeavor for a lot of privateers. Some of them even lose a decent amount of money trying to score points and prove to teams that they can perform well both indoors and outside. However, Heath Harrison is on the newly formed Phoenix Racing squad, so he isn't a complete privateer anymore, and I really do think he is capable of finishing better than he has been recently. I understand that in some of the motos (primarily the second motos) he has had some bike issues which are completely understandable given his situation, but I truly think he is capable of finishing inside the top 15 consistently. It just hasn't happened. The potential is there, though, and I hope he reaches it at some point.